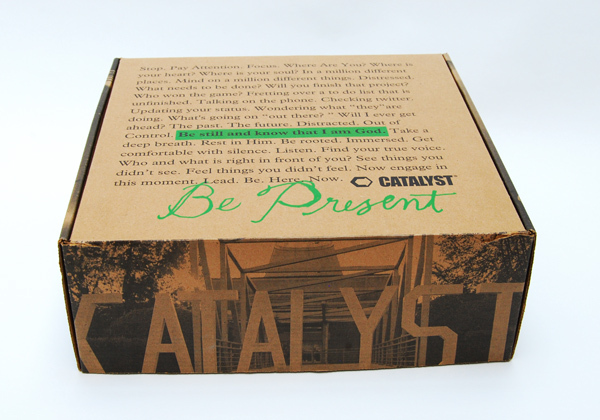 The theme of the conference we were at was “Be Present”. Heading off to it, I didn’t have many thoughts surrounding what context this meant. I assumed it probably had something to do with being a force within your church or community. This message would end up being so profound in my life. It was so important that the Lord asked us to leave our baby, flying hundreds of miles across North America to attend two-thirds of a conference, and rush back for my friend’s wedding, just to hear this. This quote from one of the speakers (I honestly can’t remember who said it), sums up the context of the “Be Present” theme. Often times in ministry, our personal lives, our careers, etc we are so engrossed with the next step we miss what is happening now. I can tell you a lot of the verses in the bible that surround vision or the plans the Lord has for our lives, but I miss the whole part about what the Lord is doing NOW. I miss the “be still and know” verses. My life becomes consumed with the next step. I think a lot about what I’ll do once I have two or three children, instead of soaking up every bit of my joyful time with one. Now, take this message in balance. I’m a huge believer in walking out the vision God has given you, and I know the positive momentum vision adds to our lives. But this is the key: we miss out on truly loving God and people when we are not engaged in the now. When I was a little girl, I dreamed about how wonderful it would be to be married one day and to have a baby. I would take care of my cabbage patch baby boy named Tommy, and lather him with love and affection, “practicing” for my own little boy one day. Well believe it or not, “one day” has come and I have a little boy. Wasn’t it just the other day I pushed Tommy in a miniature stroller? The next stage of life will slip away as quickly as the first and I want to take the time to stop and drink in every bit of what’s going on. I want to give God the glory for what he’s doing in my life now. I don’t want anyone to ever think I was too distracted to care for them. This verse in Proverbs 21:1 illustrates how our lives as leaders should be in the hands of Lord. The king’s heart is like a stream of water directed by the Lord; he guides it wherever he pleases. Streams follow the watercourse given to them. We don’t need to worry about the next step when we simply glide like calm waters through down the path the Lord has carved. Sometimes we might plummet down a waterfall and wonder what the Lord is doing, but in the end our stream will go exactly where He designed it to. Do you find it hard to stay engaged with the present? Are you constantly looking to the future in an unbalanced way? 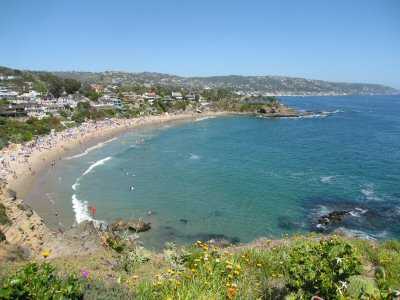 Being in California was wonderful! I can’t wait to get some pictures up of the beauty we saw. We were at a leadership conference, and we drank in so many wonderful sessions. I found myself applying so many principles to mothering. Once you’re a parent, there is no separating anything from the world of raising children. I believe some of the strongest leaders in the world need to be mothers. I also believe moms need to have some of the deepest leadership training. The same goes for fathers too, but I am a mom so I’m more passionate about this! Moms and dads have the opportunity for greater influence on the kids they are raising than any teacher. We need to have a self-studied “master’s” in leadership to equip ourselves with the tools of effective leading. I am not ashamed to admit that as a girl in her early twenties, I don’t know all I need to know about raising my little boy. I am hungry to learn. I say that to have a basis of applying some of the principles I learned to my parenting. At one of the sessions I was at, Jon Acuff said this; don’t compare your beginning to someone’s middle. Th quote above is one that really spoke to me as a mom. As a first time mom, we compare ourselves so much to other moms, and measure what we can handle as a trying-to-keep-up mom to one baby, against the beautiful super mom with three kids, a spotless house, nice minivan (or SUV, you pick), elaborate suppers nightly placed on the table and wisdom ever flowing off her lips. Ok, you may not actually know a mom like that, but we do this! We compares apples and oranges. A brand new business to a large corporation. A starter home, to someones mid life dream house. New mom to experienced mom. We need to make accurate comparisons, accept the encouragement we receive and ignore the voices in our head telling us that we fail next to our self-imposed standard. Give yourself credit for how far you’ve come. I have grown so much over the last eleven months, but instead of congratulating myself, I just raise the bar higher. Through the Lord’s grace and mercy he will continue to grow us into the godly moms he is calling us to be and the godly leaders he wants us to be. If we are sidetracked by comparison or the negative voices in our own head, we’ll be completely pulled off course. My biggest fear is waking up and realizing I’m not in God’s will and that I’m not allowing myself to be used by him to the fullest extent. Receiving the Lord’s truth is a huge step in the right direction! Do you struggle with comparing yourself to people more experienced than you? I can’t wait to share more from our time at Catalyst West Conference! 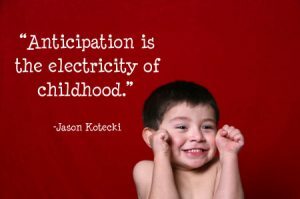 With TWO MORE SLEEPS until our California trip, I’ve been thinking a lot about the word anticipation. is an emotion involving pleasure, excitement, and sometimes anxiety in considering some expected or longed-for good event. I think that’s a pretty good descriptor of what I’ve been feeling. As the trip approaches I’m in the tension of wanting it to come so bad and hoping that is doesn’t come too quickly. The idea that I’ll probably sleep through three nights in a row without having to run in and stick a soother back in a mouth, or console a thrashing teether is almost too good to be true. On the other hand, the idea that if my son is in pain or upset and won’t have me near definitely hurts my heart. The reason I don’t want it to come too quickly, is that I know once it’s here it’s going to so fast, and then I won’t have this big, exciting event to look forward to. Since this trip was a surprise for us, I have no idea when we could be going away somewhere like this without kids. On the other hand, I know the Lord is going to do something in us, and I don’t want to live another day unchanged. So regardless of how fast or slow I want this trip to come, Tuesday morning at 7:20 a.m. is going to be here and we’ll be arriving at the airport. If I cry when we leave they will definitely be tears of mixed emotions. The picture of that little boy is so illustrative of myself. I anticipate EVERYTHING! It seems that most events can come and go and I’ll have experienced a wide range of emotions. I am definitely a “feeler” person. I can wake up on a Sunday morning with a deep sense of excitement for church, and then feel torn up inside when I realize it’s during Caleb’s nap, to rise again when I realize he’s going to be ok. There are many things in life to anticipate. We can “eagerly await” many spiritual things through the hope that we have in Jesus Christ. If you take the time to watch this promotional video for the conference we’re attending, I think you’ll understand why I’m experiencing such anticipation! As I anticipate Tuesday like a little girl waiting for her birthday, and as I anticipate Tuesday as a young mom whose never left her baby that long, I’m so thankful for the promises that my God has made to me. I’m thankful that we are following what he has asked us to do, and going under the covering of our church leadership, for in those two things there is greater protection. I am thankful to be going on a fun trip to California with my husband! I know that my God cares for our needs and our desires! Are you a “feeler”? Do you anticipate everything? Or are you a little more level hearted? As my little boy grows, he is of course becoming more verbal every day. He loves to make many sounds. Some seems like words, others are definitely just sounds. He has all the sounds that end in “aa” down, except mama. I’ll hear dada, baba, lala, gaga, rara, and the list can go on. But no mama. I hope one day soon to hear that little word come out of his mouth. Somehow I think he’s going to be able to use that against me at first, since I already melt at the various little things he says, let alone if he looks at me with his big eyes and asks me something starting with “mama”. This morning I was reading in James are was hit again by this verse. As Caleb has been learning sounds, he has become very good at mimicking. Last week he would do a shocked sounding “ohhhhhh” every time he saw something new. Then this week he has been coping my “uh-oh”. The other day was an eye opener to me. I was frustrated about something and I was ranting to myself and then at some point I said “oh dear”. 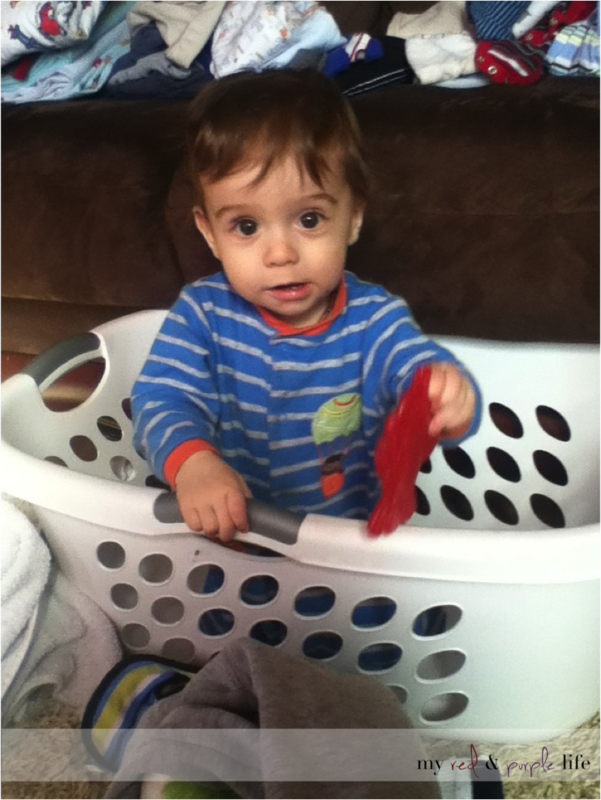 My baby boy looked up at me and sayed “oh deee”, “oh dee”, “oh dee” and then laughed at himself. I was so suprised that at not quite eleven months of age he was listening to my little rant so intently and picking up on sounds that he himself could master. This challenge in James was a reminder to me that I now have a little person watching and waiting to copy everything. My need to be “quick to listen and slow to speak” is huge. As I watch what I say and model a good example to Caleb, I hope that through me many seeds with be planted that lead to the saving of his soul. This translates to every other relationship of course. It’s funny how a little guy like Caleb can remind me of so many important life lessons! Does you child copy everything you say? Share your story below! Ever since the fire I can’t even begin to explain the things the Lord has been doing in us. I’d say really the most incredible stuff began when we decided to take a marriage course at our church. That step of obedience when I didn’t feel we “needed” to take the course, released many spiritual blessings into our lives. But, I’m not going to touch on a lot of that right now. Right now, I want to tell you about California! Like I said, ever since the fire God has been completely following through on the promise that he has spoken over so many situations in my life. His promise to me is that what the enemy intended for harm, the Lord is using for good. (This is based on what Joseph said at the end of his life in Genesis 50). And it has been so with our fire! We had a lot of favour with insurance, and since my husband is a carpenter we received more money for our garage than it will cost him to rebuild it. So we’ve been praying about what to do with the extra money, and wow the Lord has had some big plans for our lives. We thought we had received the whole picture. Then on Monday the Lord threw in a little surprise for us! We were talking with a lady at our church who was attending a conference with her husband (one of the pastors) in California next week. I told her how we had been craving a leadership conference, and that we’d have loved to go, but the timing wasn’t right. She told us there were two extra tickets for the conference. We laughed, thinking it was impossible to go. Finances were the number one thing on my mind. I knew we didn’t have the money to up and leave for California. I am also the matron of honour in a wedding next weekend, AND our son doesn’t have a passport. That seemed like a lot of strikes against it. We conceded that there would be many more conferences, and one day we’d go. Two things I forgot about in that moment. 1. We had extra money that the Lord was still guiding us in. 2. My husband had a vision recently of him and I at a conference in California. I didn’t think anything of it the rest of the night, and on our way home from the marriage class my husband said he really felt that the Lord was burning in his heart that we HAD TO GO to this conference. I said there was absolutely no way that could be the Lord since we’d have to leave Caleb behind. Shocked by my lack of enthusiasm? I may desire to do the Lord’s will, but honestly I fight fear more than you know. Anyway, I finally agreed to pray about it and the peace that passes understand (read more about that here), flooded me and all the knots in my stomach disappeared. We prayed a little more after than felt the Lord saying GO! By midnight that evening (three hours later) all the details were basically worked out. Our flights, hotel and rental car was booked (at a fabulous price I might add). We finalized some details surrounding Caleb, and my husband’s parents agreed (although it didn’t take much convincing) to look after Caleb! The morning after we decided to go however, I woke up sick with dread over leaving Caleb for three nights. After some time laying my fears before the Lord, that peace returned, and I knew we had made the right decision. 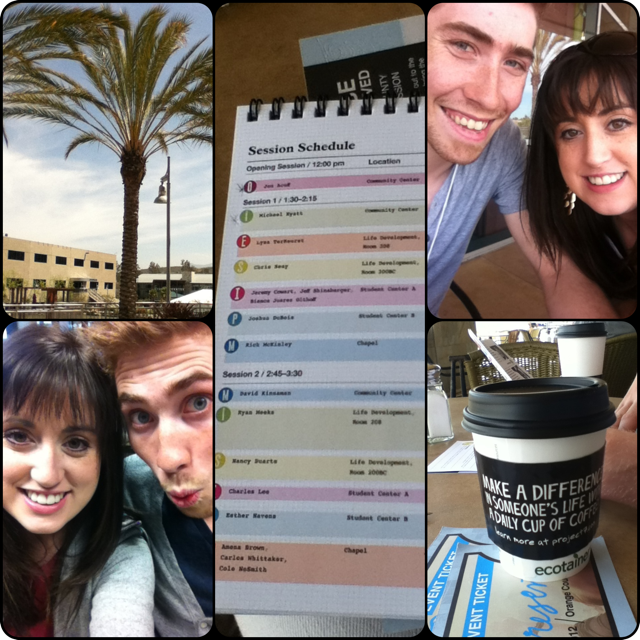 God was calling Andrew and I away together to grow closer and hear more about his next steps for our lives. 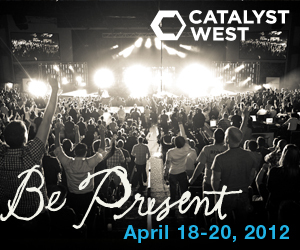 On Tuesday of next week we will be on a plane heading to Catalyst West: Be Present Conference! If you remember a while back I wrote about how I missed our honeymoon and was desiring a bit of adventure (read here). Well, looks like the Lord is granting me my hearts desire. This is the beach close to our hotel. I’m definitely excited for this! He made a way through the red sea, he provided water from a rock, he set prisoners free, he heals our diseases, and he cares about the desires of our heart. I look forward to keeping you all updated on what’s going on with us down in California. All glory to God who takes our broken situations and fills them with light, hope and purpose! May you see him make a way through your path that seems obstructed! I wished so much that my name was Jennifer when I was younger. I believed I would be more beautiful if I had that name. This thought went through my mind as a child so many times. I don’t really understand it now, but between the ages of four and ten I had a fascination with the name Jennifer. I think there was a girl in my church’s College & Career with that name who must have made an impact on me. Still, I desperately wanted to change my name. What kind of name was Monica anyway? I had a few friends at the time that had an obsession with the name Jasmine. Similar situation, only they wanted to be whisked away by Aladdin. gave it a solid effort, since I’m sure they were trying to change their names too, but a couple of days in, Jennifer still wasn’t catching on. For a brief time, I told new people I first met that my name was Jennifer, creating my own identity with them as this dream girl, and living as Monica among my friends and family. As I’ve grown up, I’m thankful that new name didn’t catch on (no offense to all the Jennifer’s). I’ve learned to appreciate who I am, not try to be someone else. I’ve discovered the meaning of my name actually is true to who I am and what I’m passionate about, since Monica means “counselor, advisor, truth”. There is an epidemic sweeping our world where kids, teens, and some adults are stuck in an identity crisis. They have no idea who they are. All they know is they want to be someone else. They are trying on different personalities like outfits, seeing which one fits them best. Even Christians are swearing and having inappropriate conversations with some friends, and then showing up at church looking engaged in the service. Right and wrong continues to become more blurred. Ever since I learned about this “multiple personality disorder” that is taking my generation by storm, I’ve been challenged in my own heart to see if I’m ever switching personalities or identities depending on who I’m around. Changing who we are around different groups of people isn’t just dishonouring to ourselves, it’s hurts the Lord. God created us each uniquely and individually for a purpose. Part of this purpose is to bring different pieces of truth to other people. If you shy away from who you are around an intelligent businessperson, a confident mom, or a stylish teen, or an intimidating child, you are depriving them from the gift of yourself that you could impart to them during the course of your conversation or interaction with them. If we don’t walk out life the way the Lord created us too, we are missing our on the tasks he predestined us to do! It hurts me deeply to think that I could miss any part of what the Lord has planned for me. May we each walk confidently in who the Lord created us to be! High Five for a long weekend Friday! My husband is home today since Good Friday is his day off over Easter weekend. I’m looking forward to relaxing and getting some spring organizing done! I’m linking up with Lauren @ From My Grey Desk Blog. Head over there and read some other HF4F posts! 1. 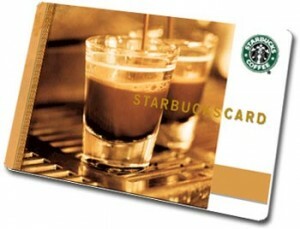 I am giving away two $5 Starbucks cards to celebrate my 100th Blog Post! I’m excited about this because I love my readers and treasure the time they spend hearing about my life. Have you entered yet? You can do so here. 2. We woke up to the rain falling this morning. I love a rainy day every now and then. We rarely get rain where we live, it’s sun or snow! 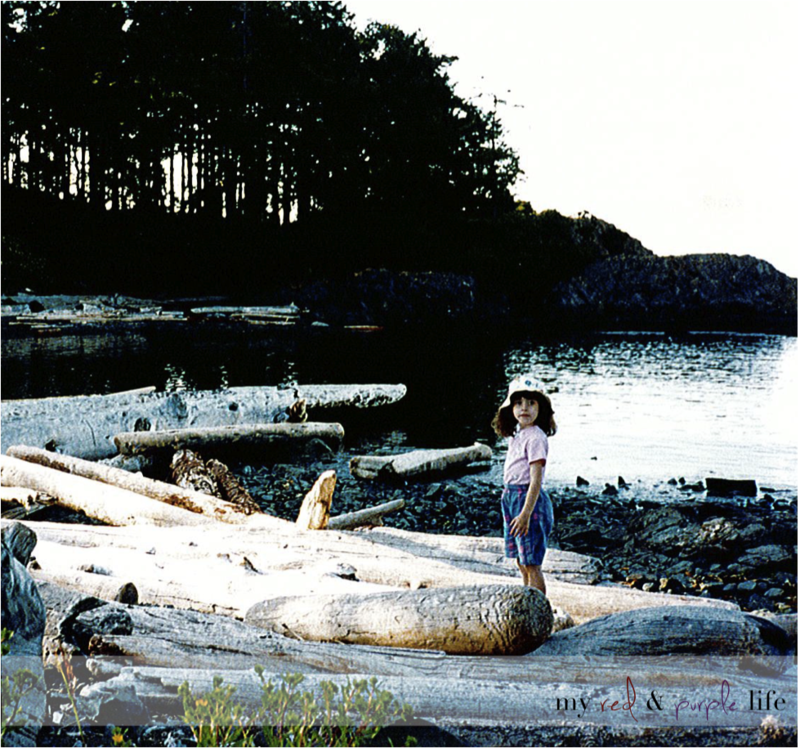 It reminds me of when my family lived on the West Coast. There’s something very sentimental about rain, especially when I know my whole family will be together and we can have a fun in-house day! Rain also reminds me of my favourite movie Pride & Prejudice (the one with Colin Firth and Jennifer Ehle), and I just want to get soaked walking down a street like this, to come home and drink tea by a fire and watch my favourite movie! 3. 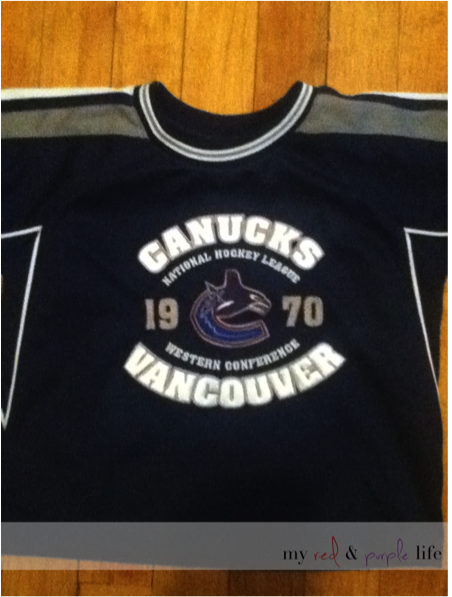 I went to a baby clothes/items sale this past week and found Caleb a Vancouver Canucks jersey (well there is some debate in our house as to whether it’s a jersey or a sweater)! I was pretty excited about it! 4. 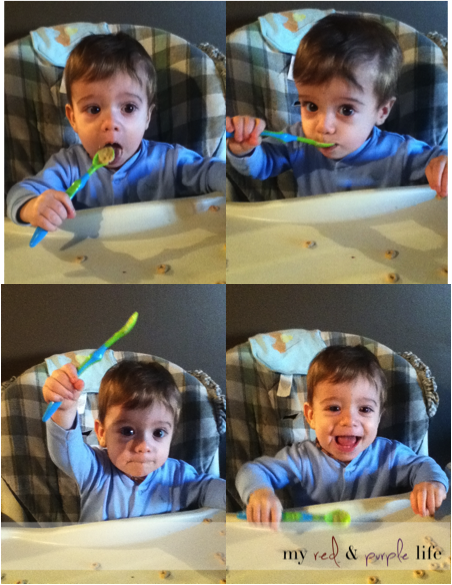 Caleb is eating really well with a spoon! He loves trying to eat his food by himself now. It’s pretty cute! BONUS: #6. I am so happy that Jesus Christ rose from the dead and this weekend we get to celebrate his LIFE! Because of it I have hope, joy, peace, love and eternal life. Happy Easter! Have a wonderful long weekend!